A 4-part BBC documentary called the “Century of the Self” shows that an American – Freud’s nephew, Edward Bernays – created the modern field of manipulation of public perceptions, and the U.S. government has extensively used his techniques. All governments, including our own, lie when it suits their purposes. The key is to lie first. Another casualty, always war’s first, was the truth. The story of [the accidental Russian shootdown of a Korean airliner] will be remembered pretty much the way we told it in 1983, not the way it really happened. One of the most common uses of propaganda is to sell unnecessary and counter-productive wars. Given that the American media is always pro-war, mainstream publishers, producers, editors, and reporters are willing participants. It’s not just lying about Saddam’s non-existent weapons of mass destruction … the corporate media is still selling lies to promote war. Lt. Col. Daniel Davis, a highly-respected officer who released a critical report regarding the distortion of truth by senior military officials in Iraq and Afghanistan …. The Smith-Mundt Modernization Act of 2012 appears to serve this purpose by allowing for the American public to be a target audience of U.S. government-funded information campaigns. For years, commercial advertisers have based their advertisement strategies on the premise that there is a positive correlation between the number of times a consumer is exposed to product advertisement and that consumer’s inclination to sample the new product. The very same principle applies to how we influence our target audiences when we conduct COIN. Of course, the Web and social media have become a huge media platform, and the Pentagon and other government agencies are massively manipulating both. Documents released by Snowden show that spies manipulate polls, website popularity and pageview counts, censor videos they don’t like and amplify messages they do. Sometimes, the government plants disinformation in American media in order to mislead foreigners. 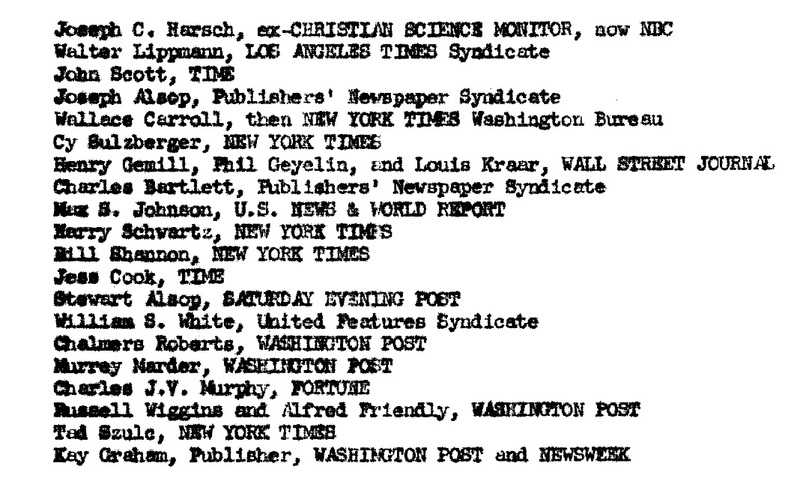 For example, an official government summary of America’s overthrow of the democratically-elected president of Iran in the 1950′s states, “In cooperation with the Department of State, CIA had several articles planted in major American newspapers and magazines which, when reproduced in Iran, had the desired psychological effect in Iran and contributed to the war of nerves against Mossadeq” (page x). The CIA has also bribed leading foreign journalists. And CNN accepted money from the brutal Bahrani dictatorship to run pro-monarchy propaganda. The First Amendment of the U.S. Constitution protects the freedom of the press from censorship by government. Indeed, the entire reason that it’s unlawful for the government to stop stories from being printed is because that would punish those who criticize those in power. Why? Because the Founding Father knew that governments (like the British monarchy) will always crack down on those who point out that the emperor has no clothes. For example, the powers-that-be argue that only highly-paid corporate media shills who will act as stenographers for the fatcats should have the constitutional protections guaranteeing freedom of the press. A Harvard law school professor argues that the First Amendment is outdated and should be abandoned. When financially-savvy bloggers challenged the Federal Reserve’s policy, a Fed official called all bloggers stupid and unqualified to comment. Postscript: See this and this. TLB recommends Washington’s Blog for more pertinent articles. 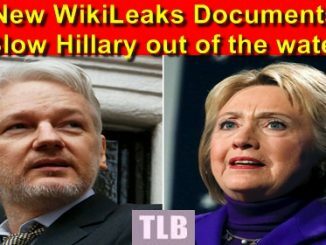 BREAKING: Julian Assange Just Delivered The Next Batch Of Emails! She’s [Hillary] TOAST! More Fake News From Washington D.C.